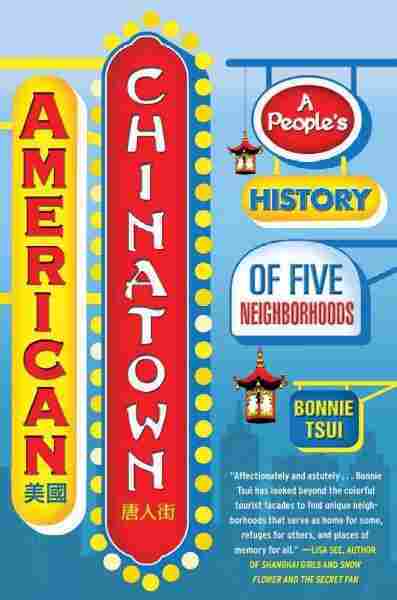 'American Chinatown' Through Residents' Eyes Wherever author Bonnie Tsui travels, she looks for the city's Chinatown. For her book, American Chinatown, she spoke with residents of five Chinatowns to find out what it's like to walk through their neighborhoods every day. Though author Bonnie Tsui grew up in Long Island, her family visited Manhattan's Chinatown to "be Chinese." 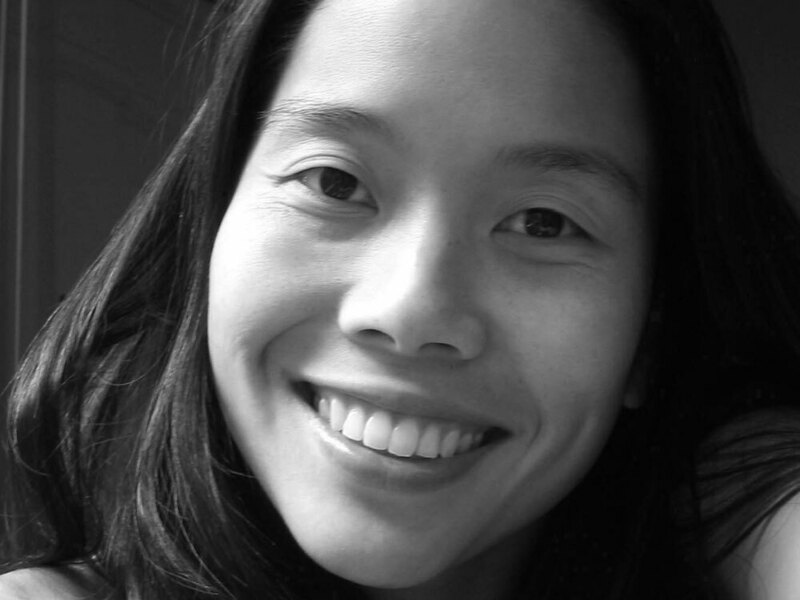 Wherever author Bonnie Tsui travels, she looks for the city's Chinatown. Her personal history begins with Manhattan's Chinatown, which is where her family held wedding banquets and christenings, and where they did their grocery shopping. After college, Tsui moved to the East Village, a short walk from Chinatown, and made an effort to spend more time there. When she later moved to San Francisco, she was surprised by how dissimilar its Chinatown is to New York's. For her book, American Chinatown, Tsui spoke with residents of five Chinatowns to find out what it's like to walk through their neighborhoods every day. I begin my work on this book in San Francisco's Chinatown. It seems right to start here — it's the oldest of the prominent American Chinatowns still in existence, and it's where I live now. In investigating what made San Francisco's Chinatown so distinctive, I get to know my adopted city more intimately. I come to appreciate the Bay Area as the ancestral home of Chinese America. The Chinese called San Francisco dai faw: "big port," or "first port." It was through this gateway that tens of thousands of Chinese came during the Gold Rush — looking for gum saan, or "gold mountain" — and railroad boom times, when China suffered from famine, war, and natural disaster and its people were welcomed to the Western frontier as cheap labor. That welcome didn't last long — racism quickly built up to the exclusion acts that rescinded that invitation — but the deep roots of a community were already established. In a republic that was constantly renewing itself with new immigrant pools, xenophobia moved rapid-fire from one group to the next. In this way, American xenophobia was the first force to shape the first port's Chinatown. The 1906 earthquake, which remade Chinatown and the city itself, marked the point at which the community began to take charge of its own image through the shaping of its skyline. It was perhaps the first time an American Chinatown did this so explicitly, but certainly not the last — the building of self-image is a compelling and enduring theme resonating through the Chinatowns included here. It continues in the modern day, with youth leaders who seize the opportunity to "show-and-tell" their own Chinatown stories to San Francisco's tourists, and with today's new immigrants, who struggle to find their voice in the gilded ghetto. They come face-to-face with the paradox that is Chinatown: a vibrant, jam-packed community that speaks their language, but also an insular home that makes it harder to communicate with the larger world outside. Back in New York's Chinatown, I find I can't escape my family history there. As in San Francisco, I explore the neighborhood with an eye to different generations and their stories, observing the circumstances and geographies that have made the community unique. On streets I had walked a thousand times — the historic main street of Mott, quiet, crooked Doyers, busy East Broadway — I try to slow down and see them anew. This being New York, I track the biggest economies in Chinatown, talking to predominantly female labor organizers for the ubiquitous garment trade, and trace the thread of my grandmother's story as a longtime seamstress in several Chinatown garment factories. To find out about the history of ruling family associations, I seek out the unofficial mayor of Chinatown — the current president of the Chinese Consolidated Benevolent Association, what was for a century the supreme organization of the Chinese in New York — and am startled to learn that, in the early 1970s, he shared Cookie Machine No. 2 with my grandfather in a tiny mom-and-pop fortune-cookie operation in Chatham Square. And when I visit Chinese schools new and old, including a venerable institution on Mott Street, based out of New York's oldest Catholic church, I end up standing at the spot where I was baptized, three decades before. And so I incorporate that personal history in my travels through Chinatown. It becomes inevitable that I embrace the idea of a city within a city — that as big as New York is, and as large as its Chinese population has grown to be, spreading out across the boroughs, the still-small world of Chinatown is where everybody knows somebody, and, chances are, that somebody knows you. Over time, it has found itself inextricably tied to the ups and downs of the city outside. Chinatown became something the city needed, in good ways and bad. In Los Angeles, I find a close-knit Chinatown community that was also uniquely necessary to the larger city — indeed, it was wed to Hollywood at an early age. The movies shaped Chinatown in surprising ways, and not just through their representations of the Chinese on celluloid. Those who saw it happen tell me that Hollywood had more of a hand in the actual creation of the Chinatown of the 1930s than most people know. In this Chinatown, reality and fiction came together to shape not only how America pictured Chinese and "Orientals" in the world, but also to shape the construction of the physical place in which L.A.'s Chinese resided. In the last several decades, the scattering of the Chinese American community to other pockets of L.A. — Monterey Park, Alhambra, and the San Gabriel Valley are just a few — has lessened the day-to-day importance of Chinatown here, but these new enclaves are still connected to the original. As other Chinatowns do, L.A.'s Chinatown persists as a cultural touchstone, indisputably compelling to generation after generation of Chinese Americans. In a way that these other communities do not, Chinatown sends a signal to explore your cultural identity. What happens when Chinatown ceases to be all Chinese? Can Chinatown be itself and something else, too? A longtime melting pot of cultures, the Kingdom of Hawaii pulled in the Chinese as contract laborers beginning in 1852. For a time, in the 1880s, the Chinese even outnumbered Caucasians in the islands. In 1900, Hawaii officially became a U.S. colony. Throughout the twentieth century, Honolulu's Chinatown became home to successive waves of Asian immigrants, and finally to an arts community. Here, Chinatown feels open. Many aspects of Chinese culture have made their way into Hawaii's everyday. In a social environment that was friendlier than that which was found on the mainland, the Chinese community achieved widespread success and acceptance. It paved the way for Honolulu Chinatown's distinctive renaissance. Listening in on the conversation here, I find insight into what it means to be Chinese and something new at the same time — an acceptance of self invention that is a lesson for the rest of America. Finally, Las Vegas. Perhaps most of all, a man-made Chinatown in a man-made place reveals fascinating things to me about America and what sway Chinatown holds over it. On the surface, a Vegasbrand Chinatown seems the ultimate American commodification of ethnic identity. What do I expect? A cheap imitation of the original, a cartoon world empty of substance. But the community that has sprung up around this Chinatown has startling parallels to the traditional one, fulfilling many of the functions of the old neighborhood. The depth of experience to be found here shows that as much as Chinatown is a tried-and-true attraction in this country, darker elements persist, even in shiny, happy Vegas. "In American culture, 'Chinatown' also means negative things," James Chen, the founder of Las Vegas's Chinatown, says. "It means filthy, gritty, dirty, produce on the street, people only speak Chinese, isolated, doesn't care about anybody else, or even worse — gangsters, prostitution, that kind of thing. And to be in a new city, Las Vegas, I knew we had to be better." The story of this founding, and how Chen confronted his image problem, is a telling commentary on the direction that other Chinatowns are headed. 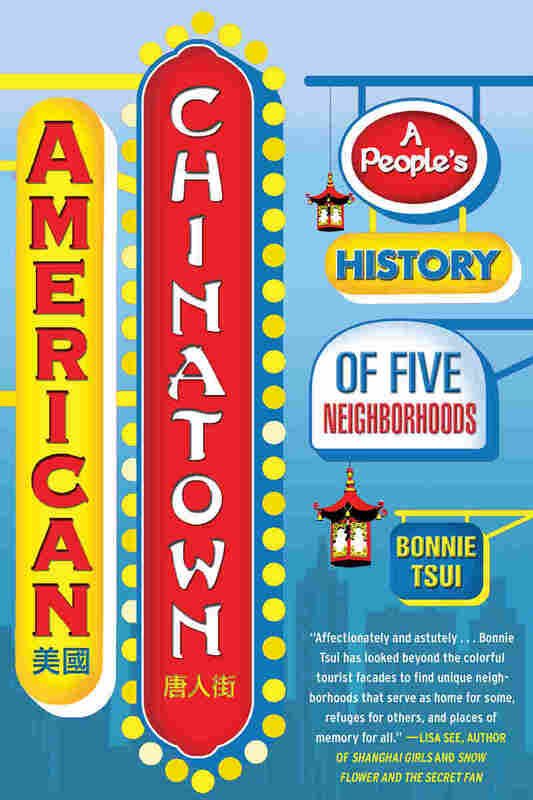 Excerpted from American Chinatown: A People's History of Five Neighborhoods, by Bonnie Tsui. Copyright 2009 by Bonnie Tsui. Excerpted with permission by Free Press, a Division of Simon & Schuster, Inc.